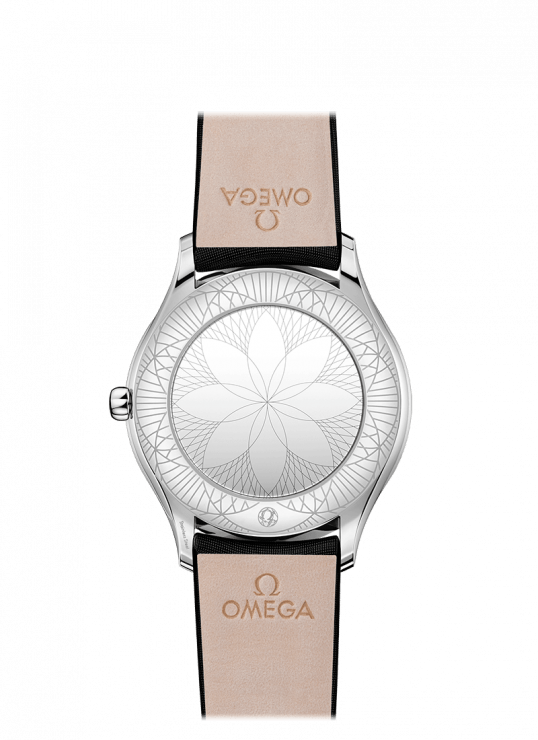 In this collection, OMEGA has created watches with pure design and a truly modern edge. 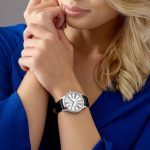 The 36mm case is crafted from stainless steel and features diamond paving that curves along each side. Also featured in this watch is the crown that is polished with red “HyCeram” and set with a single diamond. 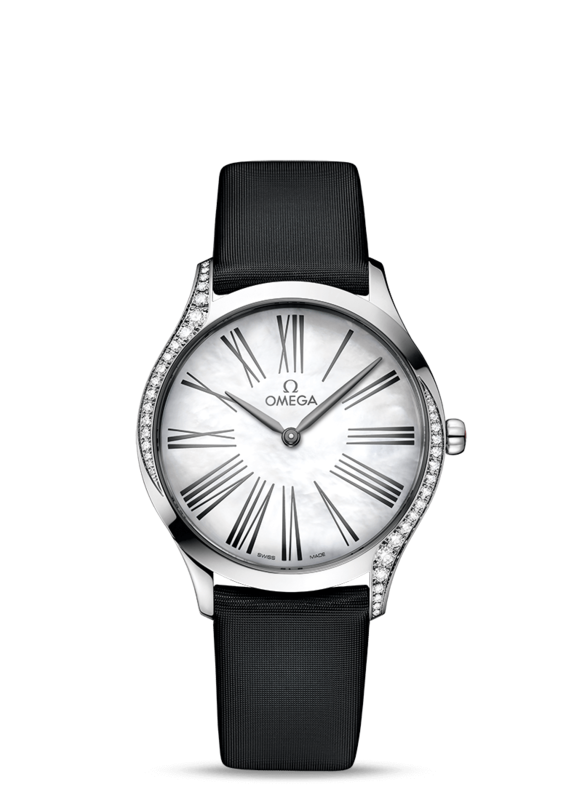 In this particular piece the Mother of Pearl dial includes roman numerals and elegant blackened hands. 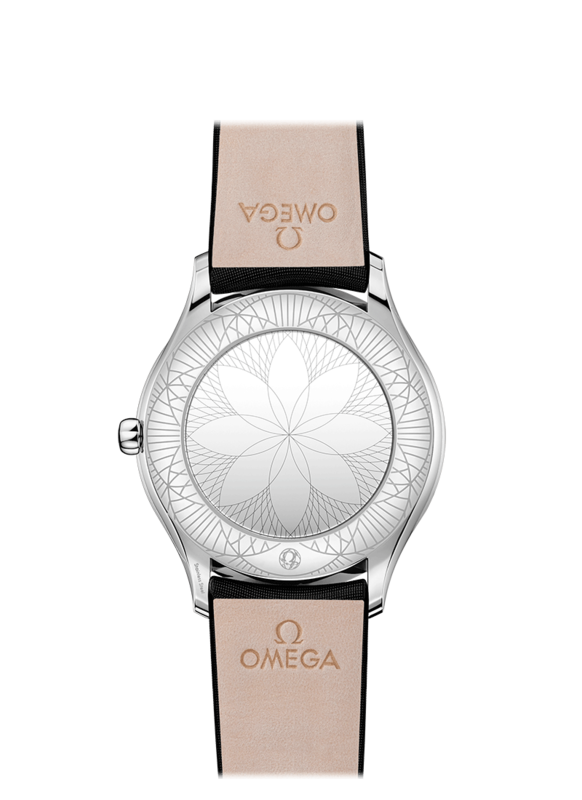 This watch is powered by the OMEGA calibre 4061 which sits behind the case back with a “her time” pattern. 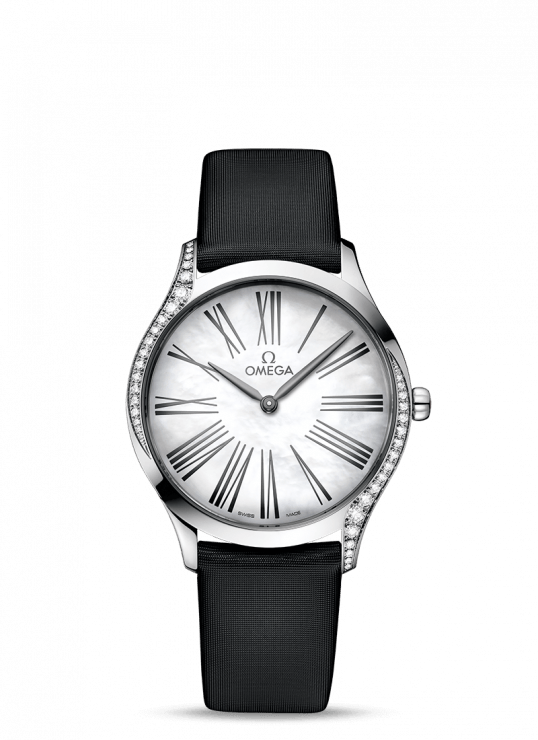 Omega DeVille 36mm Diamond Bezel Steel Ladies Watch has been successfully added to your shopping bag. 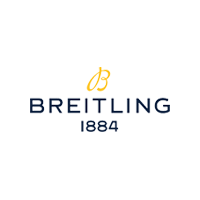 Glass Domed scratch-resistant sapphire crystal. Anti-reflective inside.